One of the hardest parts about heading to a larger city is the vast array of possible eats. Detroit’s Eastern Market is no different. 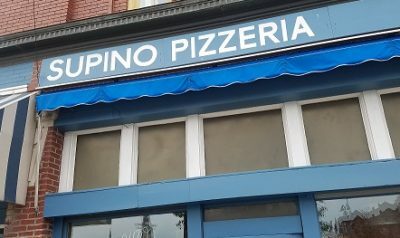 Walking around I decided to slide into a pizzeria named Supino for a quick slice of heaven. Walking in you see a few tables and a simple and wonderful looking menu on chalk. 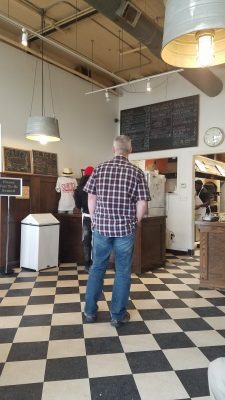 They have slices of pie for $2.75-$3.75 a slice and looking over the choices I decided to try their specialty slice. The slice special was called Harvest White Pie and was a slice with fresh mozz, smoked gouda, fresh sage and hubbard squash. 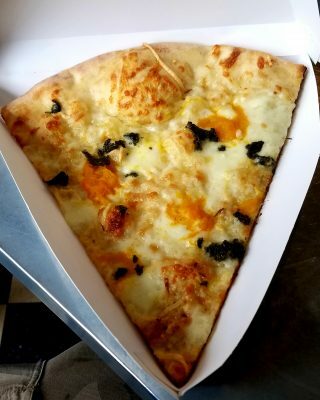 This slice was so delicious and I would have never thought to put squash on a pizza but it makes total sense. Squash and olive oil and cheese is a great mix and definitely opened my eyes to some other options in my own personal cooking. The smoked gouda made for a great finish taste and blended with the sage perfectly. Next time I am here I will consider getting one of their whole signature pies but this was just what I needed for this long day of walking and exploring Detroit.